PETALING JAYA, Malaysia. KidZania Journal. September 2, 2013. (English). –In its latest effort to enhance in-park offerings, KidZania Kuala Lumpur, the indoor educational and entertainment theme park, welcomes on board Lembaga Hasil Dalam Negeri Malaysia (LHDNM), as an official industry partner. This partnership with LHDNM, also known as the Inland Revenue Board, which is an agency under the Ministry of Finance responsible for the collection and administration of national taxes, will see the addition of the LHDNM Tax Office establishment. At this establishment, children will participate in role-play activities that have been designed to educate them on the purpose and process of taxation. Given the title of Junior Tax Officer, children will first be taken through an informative video presentation on the purpose of tax, its benefits and the consequences of not paying tax. The Junior Tax Officers will then be assigned to an establishment in KidZania Kuala Lumpur, where they would need to calculate the amount of tax payable, using the LHDNM e-tax software. To complete the activity, children will then head to their assigned establishments to collect the required tax. As part of the activity, children will also be able to select between four areas – development, health, safety, education – as to where the collected tax money will be channelled. Presenting the ‘key’ to the city of KidZania Kuala Lumpur: (L-R) Pn Susanah Abdul Rani, General Manager and Mayor of KidZania Kuala Lumpur; Y.M. Tunku Dato’ Ahmad Burhanuddin, Managing Director and CEO of Themed Attractions and Resorts Sdn Bhd and Governor of KidZania Malaysia; YBhg.Tan Sri Dr. Mohd Shukor Mahfar, Chief Executive Officer, Lembaga Hasil Dalam Negeri Malaysia. “Taxpayer education and awareness has always been an intriguing and interesting subject. A tax system must be seen as an asset to the community and voluntary compliance deemed as good citizenship. 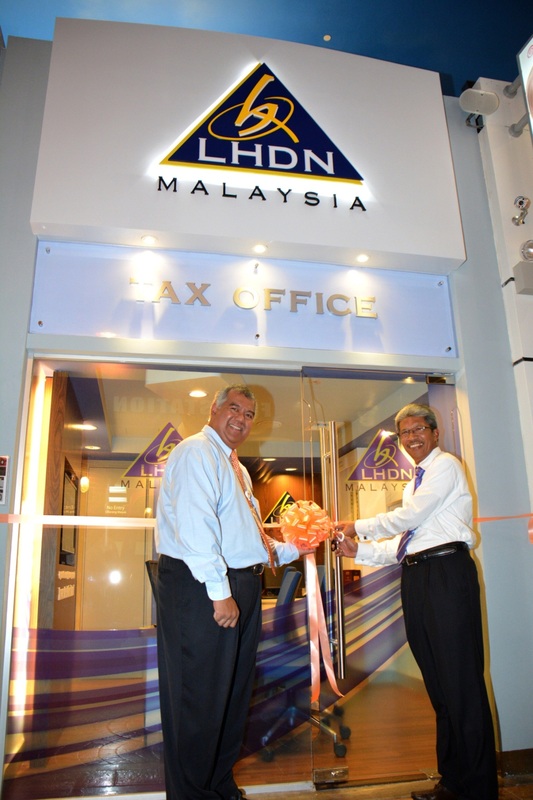 I am certain that the setting of the LHDNM Tax Office in KidZania Kuala Lumpur, besides providing a platform to play, learn and experience, will help instil these values in the students, as they are the one that will one day benefit from the current tax system as well as contribute to the same tax system,” said Tan Sri Dr. Mohd Shukor b. Hj. Mahfar, Chief Executive Officer, Lembaga Hasil Dalam Negeri Malaysia. “Coincidentally, LHDNM’s current corporate tagline ‘HASiL, Your Feel Good Partner’ is aimed at making the organisation rakyat-friendly and a popular household name. It encompasses the way-forward in creating tax awareness amongst the public as a strategic approach in corporate social responsibility,” he concluded. During the partnership announcement ceremony, Tan Sri Dr. Mohd Shukor was presented with the ‘key’ to the city of KidZania Kuala Lumpur, symbolizing the partnership between the two parties. LHDNM is the first government agency to join an ever-growing list of industry partners of KidZania Kuala Lumpur, with the theme park currently offering over 100 different role-playing activities in over 60 establishments.